More than 100,000 completions and counting! 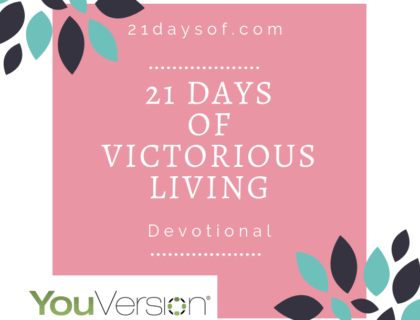 From my book, 21 Days of Powerful Breakthroughs, check out this devotion on the YouVersion Bible App! Whether you are experiencing worrying, decision-making, anxiety, or just simply desire to know God’s will for your life, each daily devotional is divinely designed to help you overcome life’s barriers. Begin today by proclaiming God is giving you peace, healing, tranquility, and serenity at this very moment. Give God all the things you have worried about for so long and begin to expect your powerful breakthrough.